His appointment in 1757 asÂ maestro di capillaÂ and organist at the Escorial, the royal palace established by Philip II of Spain, allowed Antonio Soler to mix with fellow court musicians, among whom was Domenico Scarlatti, whose influence was to remain profound. Soler wrote some 150 sonatas, his greatest compositional memorial, most for the young prince, Don Gabriel. 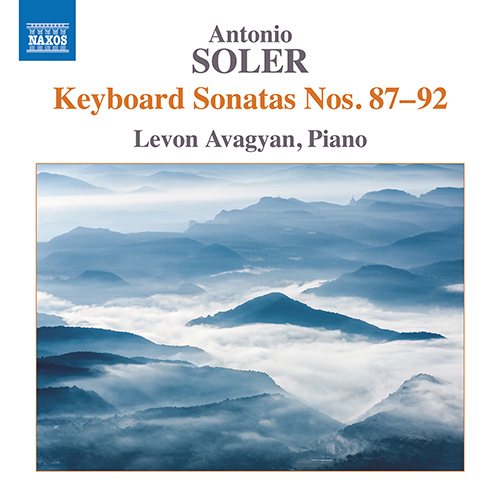 The works in this volume reveal Soler’s mastery of dashing bravura and his exploitation of a full keyboard range inÂ Sonata No. 88, felicities of hand-crossing inÂ SonataÂ No. 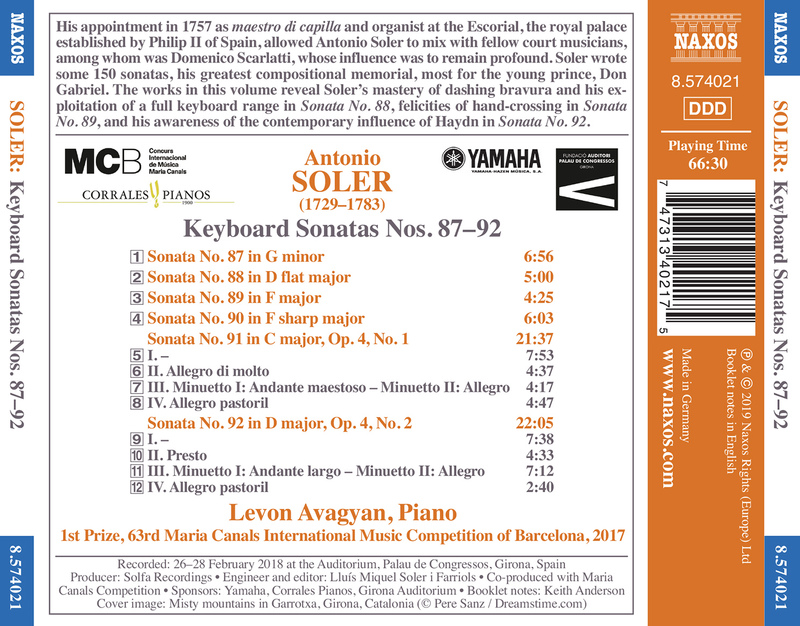 89, and his awareness of the contemporary influence of Haydn inÂ Sonata No. 92.